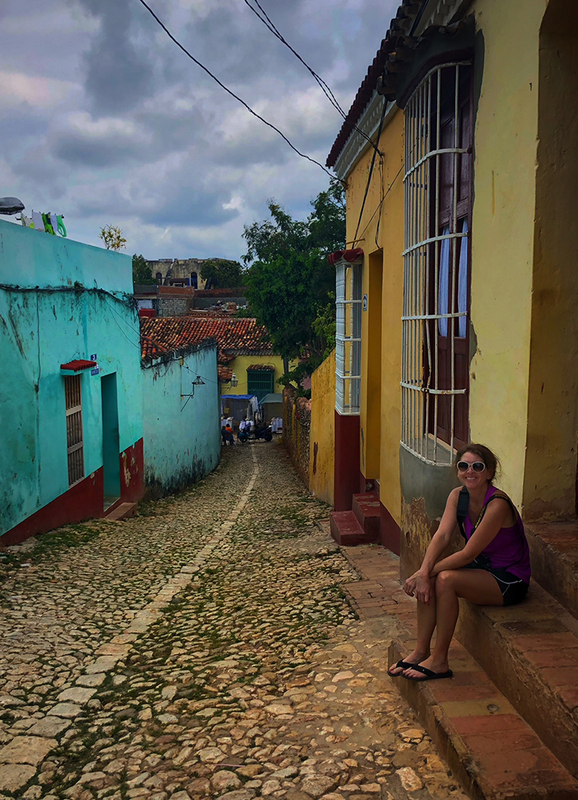 Last week, I fulfilled a huge bucket list item and traveled to Cuba. Cuba is really popular with Americans right now, even with the restrictions in place. 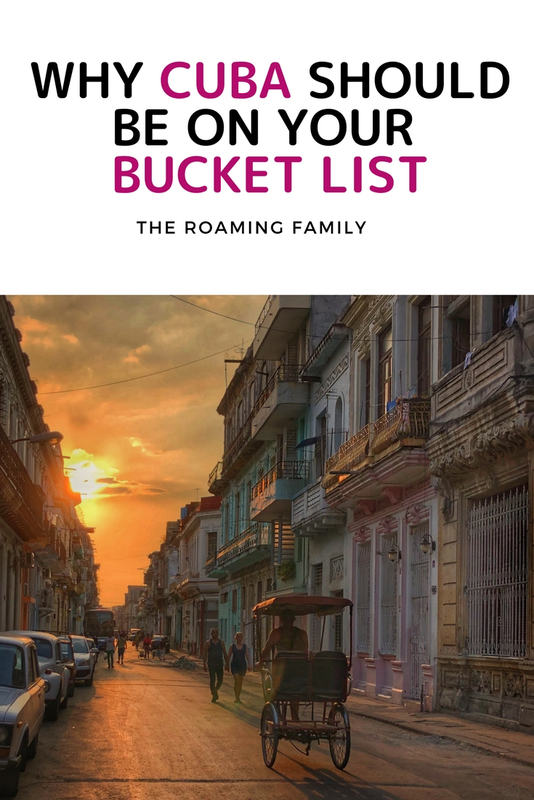 If you’re thinking about one week on the Caribbean island, I highly recommend it and can tell you exactly where to go in Cuba. 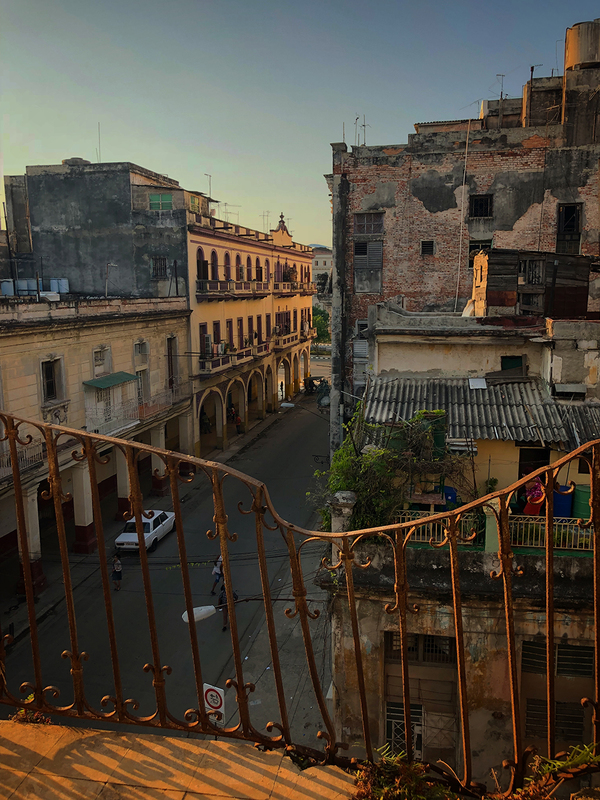 Our trip started where most trips to Cuba start – Havana. Havana is soooo much bigger than I thought. 2 million residents. It’s really quite large, with tons to see. We spend 3 days there and definitely could have stayed longer. The city is culturally rich, with a vibrant art scene, a beautiful colonial center and an amazing seafront malecon with old fortress walls. There is so much history it’s staggering. 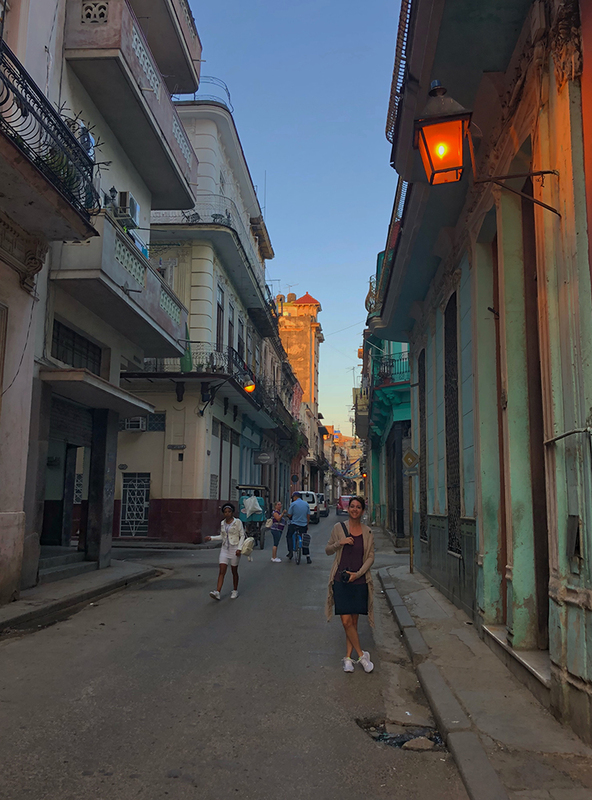 Not only are there tons of historical sights; the Cuban ballet, newly opened private restaurants, art galleries and a vibrant nightlife lend an additional cultural aspect to the city. All of this, combined with old, beautiful buildings make Havana one of the most amazing cities I’ve ever experienced. The perfect blend of old and new. 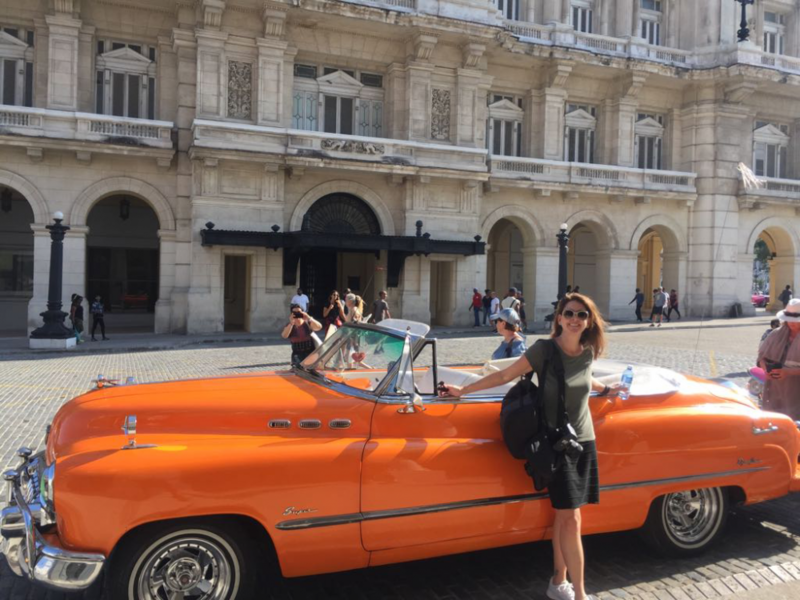 If you’re an American, you need to travel Cuba with an accredited tour agency in order to be legal. I do not suggest trying to get around this, buying a Visa and claiming you are there on one of the 12 Visa reasons and then hanging out, doing your own thing. You must have documentation that you actually did legit tours and mingled with the people. While in the past few years, things have been a little lax and nobody was really watching, make no mistake – the U.S government is watching and you must do things legally. There are plenty of group and private tours. 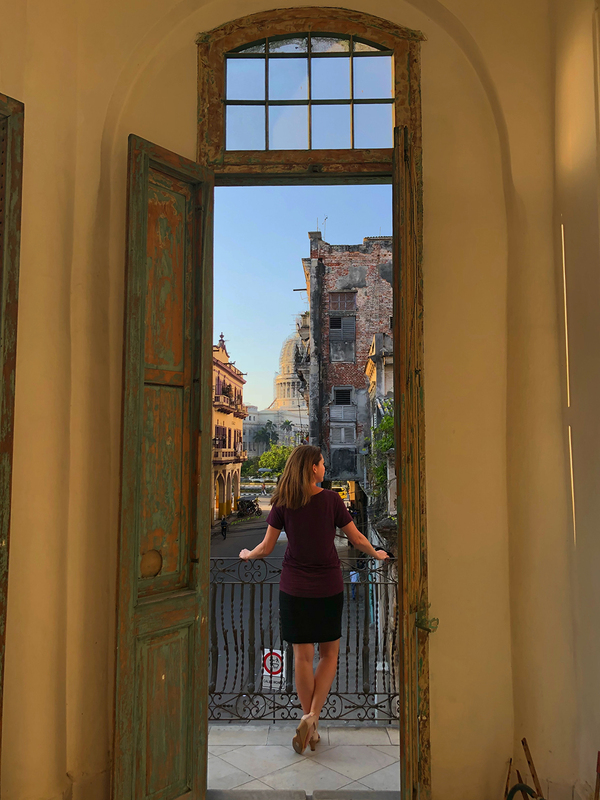 I went private with a company my agency works with – Cuba Private Travel – and it was totally flexible and they worked to show us what we wanted to see. That being said, a tour of Old Havana is fascinating. I truly had no idea how much history Cuba had. From the ruins of the fortress walls to the historical squares dotting the city. The city is a Unesco World Heritage site – another fact I did not know. Architecture is amazing in the old city, with crumbling walls, beautiful old homes and buildings and narrow, winding cobblestone streets. It was also incredibly clean. We had the incredibly fantastic opportunity to see the Ballet Nacional de Cuba practice. Dancers go through an 8 year period of training before becoming part of the company and it was an honor to see these hard working dancers practice. As is typical of a Communist system, while training, everything is paid for, making dancing a very attractive option for a professional. After becoming a part of the company, dancers make approximately the same amount as a medical doctor, making this a very respected profession. We were not allowed to take photos of them (I maaaayyy have snuck a few on my cell phone just to show my daughter ;)), so I cannot post any, but suffice it to say, if you have a chance to experience this, ask your guide and go! We followed our ballet experience with lunch here. 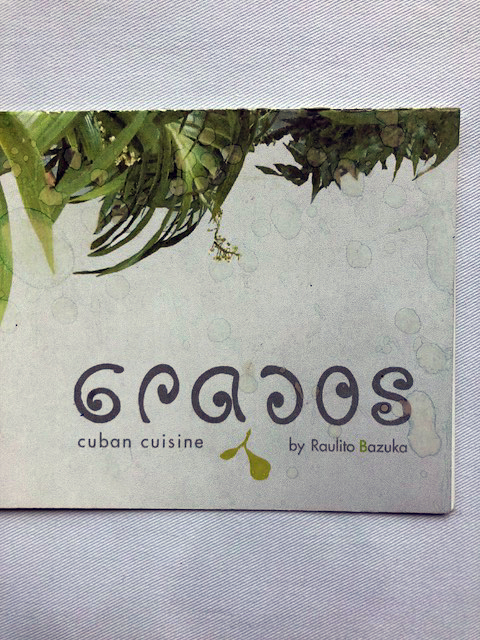 Restaurant Grados. The restaurant has great food, with some experiemental dishes that definitely work. The chef personally greeted us at our table to chat about his food and what he’s doing and he let it slip that he was getting married at 3pm! Additionally, the restaurant can add on some Rumba dancing – a culturally rich African dance that we really enjoyed. The culture never stops in Havana. 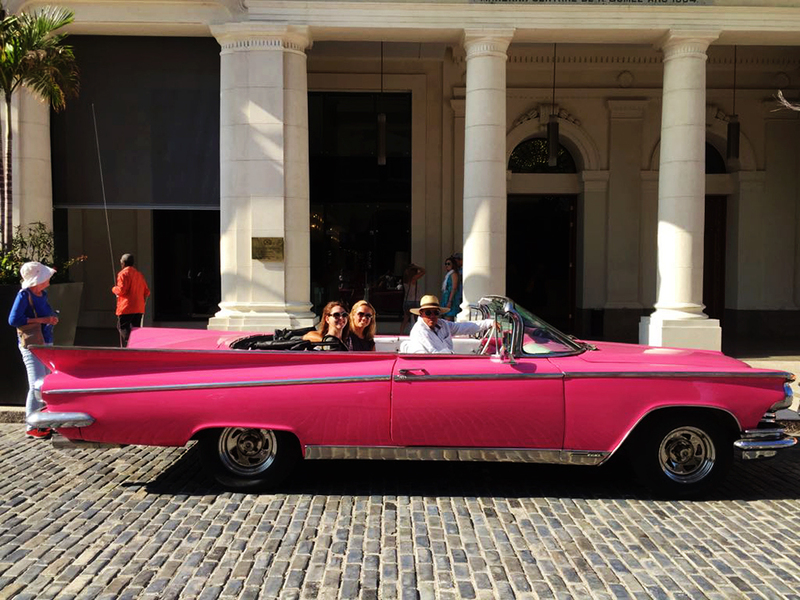 You can’t go to Havana without a Classic car ride! What amazed me was that these cars are all over the city – they aren’t simply a touristy thing to do. They are legitimate family cars, taxis, etc. Some are perfectly restored and some are clunkers, but all are incredibly fun to ride in. 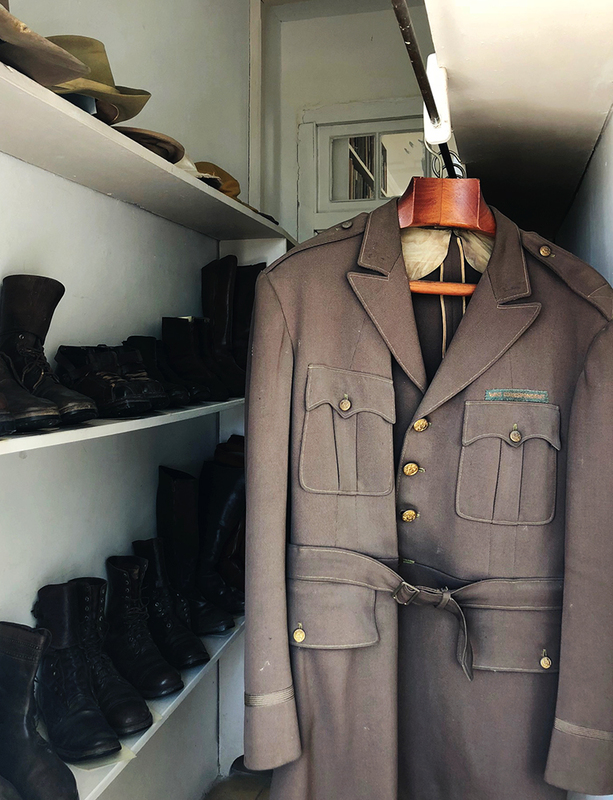 We took a ride out to Hemingway’s House, which was definitely a bucket list item for me. 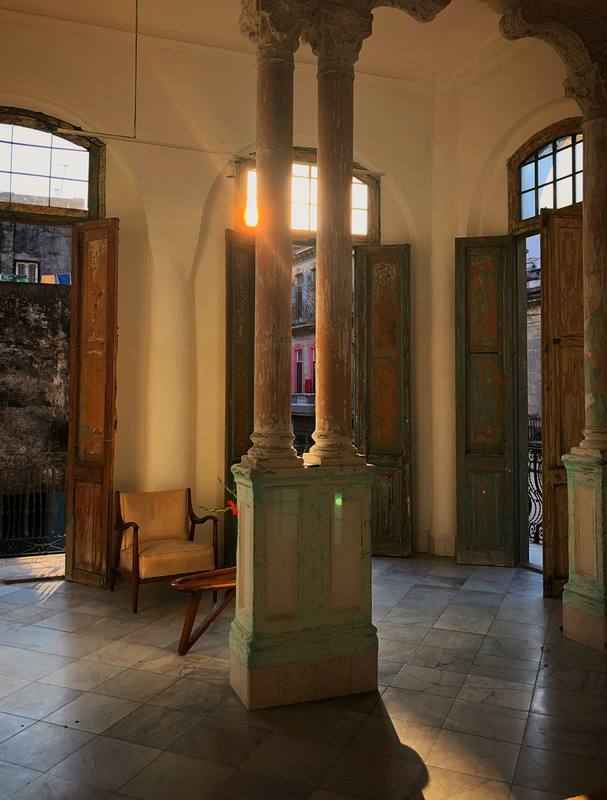 Having seen his house in Key West, I couldn’t wait to see his Havana lair, as he really spent a ton of time there. Unlike the house in Key West, which has a lot of replicas and stuff behind glass (due to theft), the Havana house is completely authentic. Hemingway left the house, thinking he was coming back so everything is as he left it – down to some half filled bottle of booze in the living room and a Life magazine he was reading left on the couch. Totally incredible. You cannot enter the house. However, it’s built in such a way that there is a window on every single room of the house – even the closet – so you can truly see every inch of the house. The only thing not authentic is a copy of a Joan Miro painting….for obvious reasons. 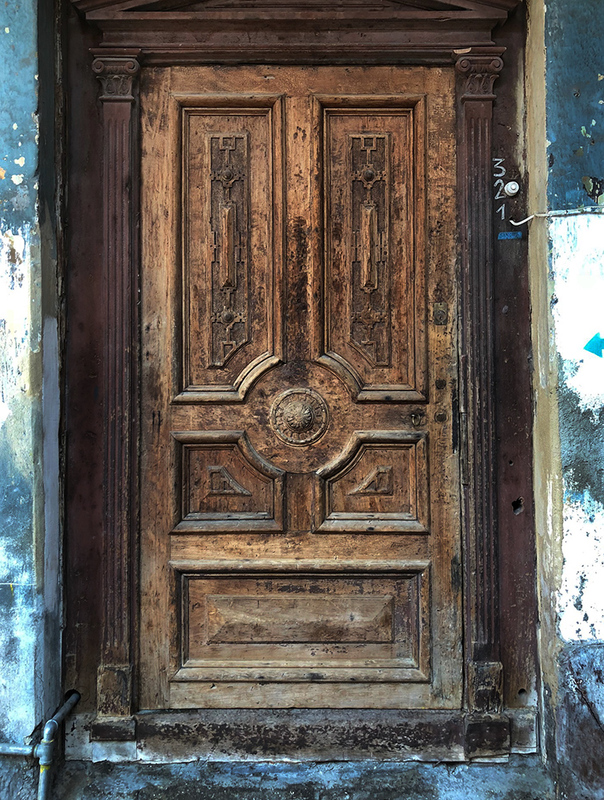 Another cultural experience that I was thrilled to take part in….visiting some Cuban artist studios and talking with the artists. Our first stop was a married couple, both very well known artists in Cuba. Like ballet, art is very well respected in Cuba and artists make a very respectable living. Training is intense and work is hard. 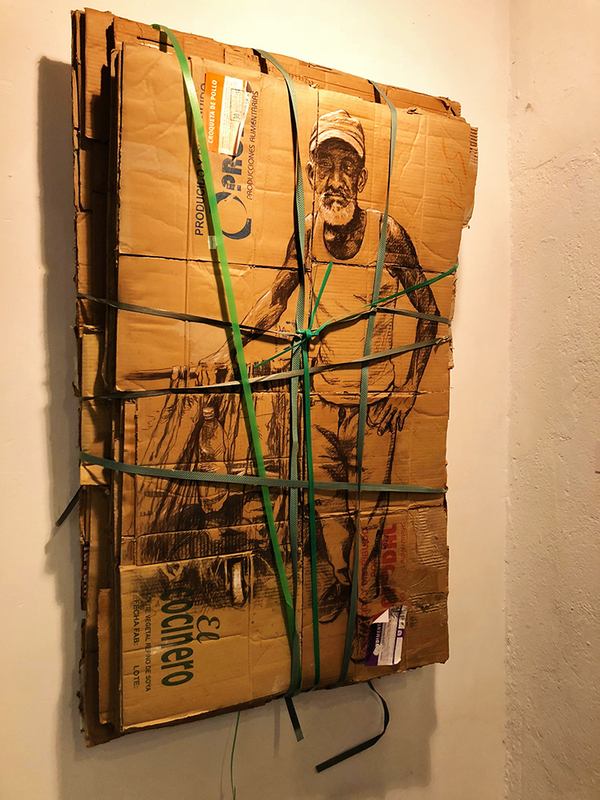 One of the artists told us when living in Cuba, you are forced to become creative – sometimes paper is hard to find or prohibitively expensive. When he can’t find paper, he finds something else. He showed us a bedsheet he used for a commissioned piece….because paper was too expensive. It really makes you think and I was so inspired by these artists. I was also thrilled that we were able to meet these artists in their home – it truly was like traveling in time. 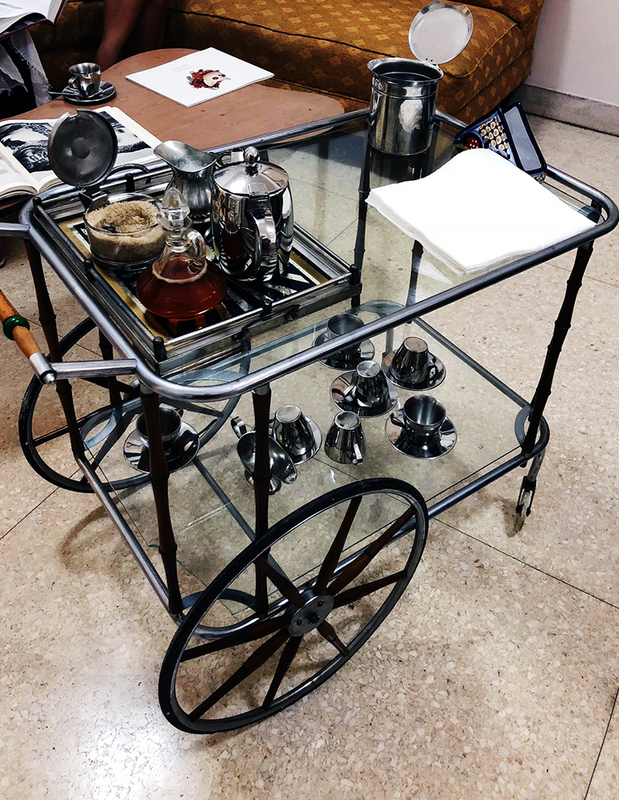 They offered us coffee and they wheeled the coffee in to the living area on this cart – I showed this photo to my mother and she almost teared up, as her parents had a very similar one back in the 1950s, when she was growing up. 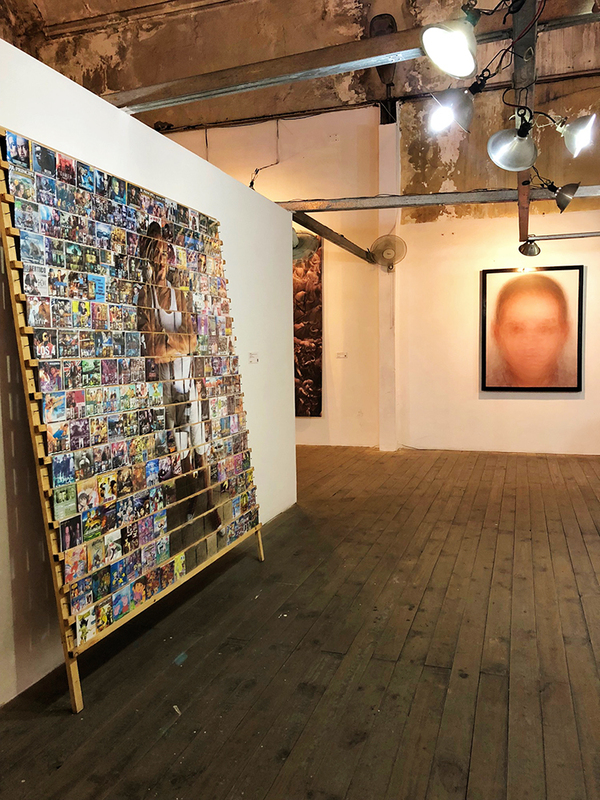 Havana has no shortage of art galleries because the art scene is so vibrant. In keeping with the architecture of the city, many of these galleries are in old, partially restored homes. The crumbling buildings, combined with redone rooms inside make for such an interesting art experience. Art on the walls, beautiful old floor tiling, old shutters and doors on the windows, amazing views – it all makes for something incredibly special and unique. 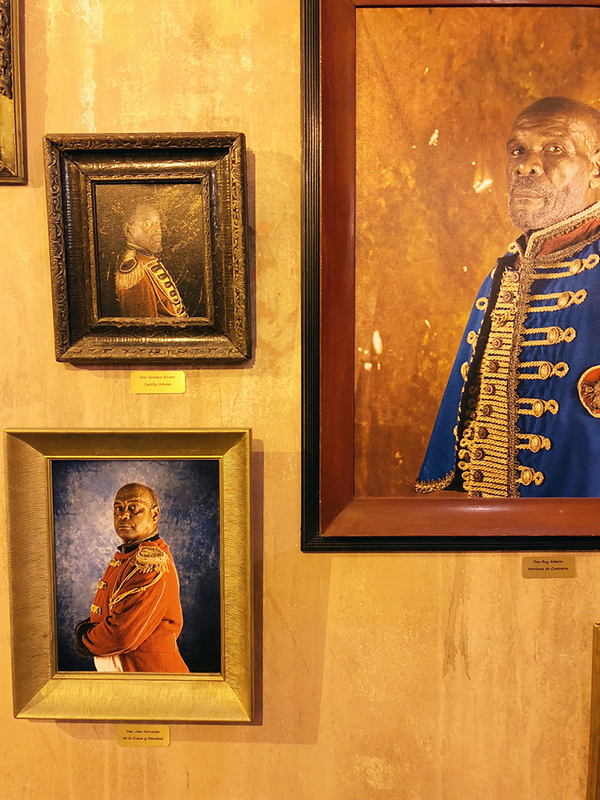 Be sure to request an art gallery visit during your stay – you won’t regret it. We visited Arsenal. Being a photographer, I, of course, couldn’t help but think I needed to get up early for sunrise photos of the old town. It was definitely the right decision. I meandered the streets at 7:30am before much of the city had woken up. Empty streets, early morning light, stray cats, old cars parked in front of older buildings – it was truly magical and so nice to just wander. The Old City streets are very easy to navigate and getting lost would be practically impossible. Shops were slowly opening and kids were walking to school. It was fantastic to just be wander like a local. Lastly, the Cuban Art Factory. Wow, is the only thing I can say when talking about this place. Soooo unique. I don’t think I’ve ever had a cultural experience such as this. 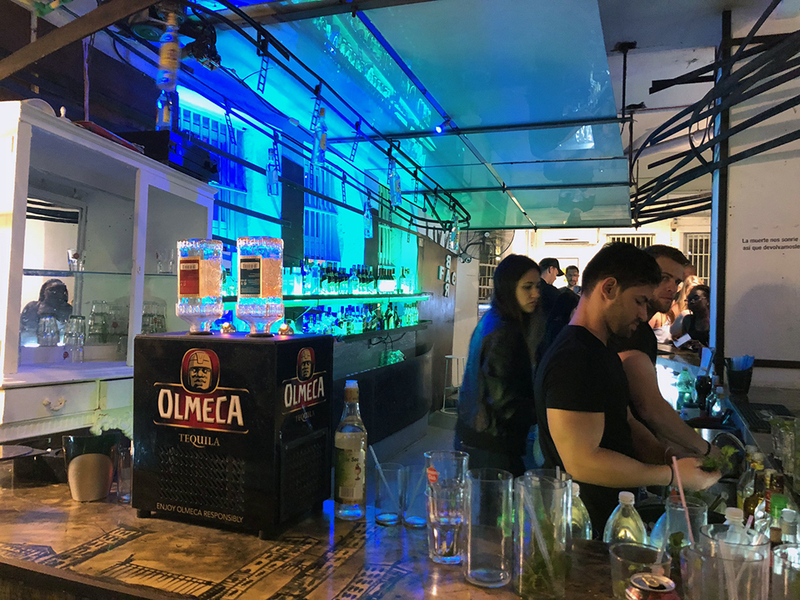 A former oil factory, the Cuban Art Factory is a giant place filled with art galleries, restaurants, bars, dance clubs, theaters and cafeterias. You could easily spend hours here. This place was teeming with people of all ages and so full of life. We went to a fantastic restaurant, Tierra, which was a culinary delight. After dinner we wandered throughout the various galleries and winding hallways and people watched. 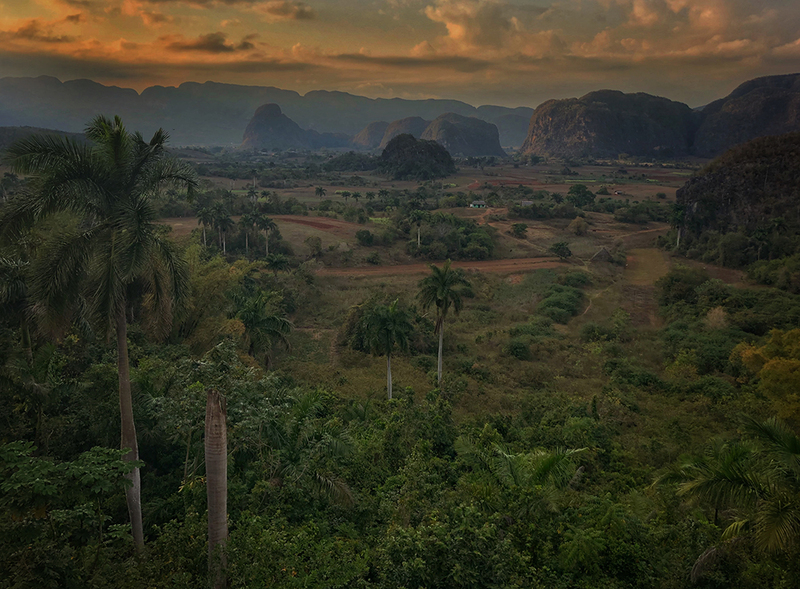 About a two hour drive from Havana lies Vinales Valley, a beautiful valley straight out of Jurrasic Park. 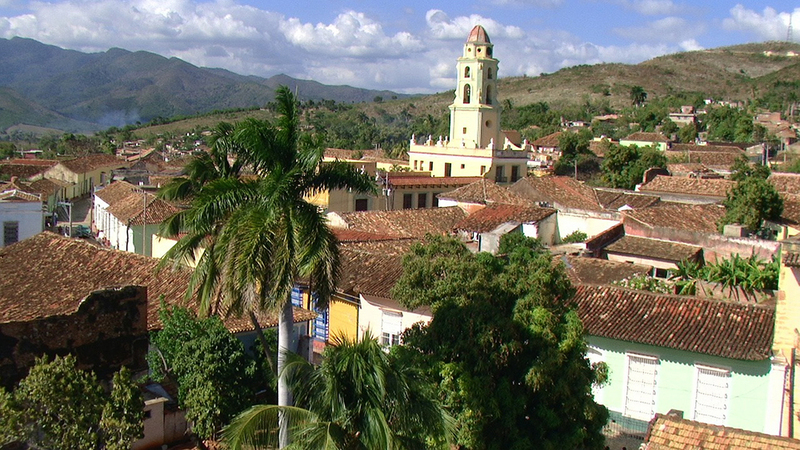 Like Havana, the area is a Unesco World Heritage Site. Incredibly green, totally quaint and filled with Airbnbs, the valley has hiking trails, Tobacco Farms and adorable restaurants and bars. It seemed as though every house we saw had some cute name and an offer of a room for rent. Vinales Valley’s main economy is cigars and guesthouses. We took a two hour hike around the valley. Along the way, we saw tobaccos farms and beautiful scenery, random horses and pigs and cows just wandering about. The people were incredibly friendly and warm and the scenery was incredible. We were fortunate enough to stop and visit with Los Aquaicos – The Water People. These people live high above the valley and believe they can heal themselves with water. They must be doing something right because they looked incredibly healthy and have never been to a doctor. Explore the little town, dotted with colorful Colonial style wooden houses. Have a meal at a restaurant such as El Olivio, La Cuenca, El Barrio or Restaurante la Casa de Don Tomas. Vinales town is defintely worth a few hours of your time. Cienfuegos is on the opposite side of Havana, about a 3 hour drive from Havana. A colorful, coastal town, Cienfuegos definitely has a Colonial flair to it, as well. Cienfuegos has a ton of history and was one of the main ports for Cuba. It’s a very picturesque town, worth a stop, but spending more than a day there isn’t necessary in my opinion. A fun place to go is the Cienfuegos Yacht Club. Formerly a Club for the most affluent only, the club is still open to visit and have lunch. It’s fun to visit and imagine it way back when. Incredible views, as well. Many go for lunch, but it’s pretty well known that it’s not the best food. Go for the experience only. When considering where to go in Cuba, Trinidad is a must. 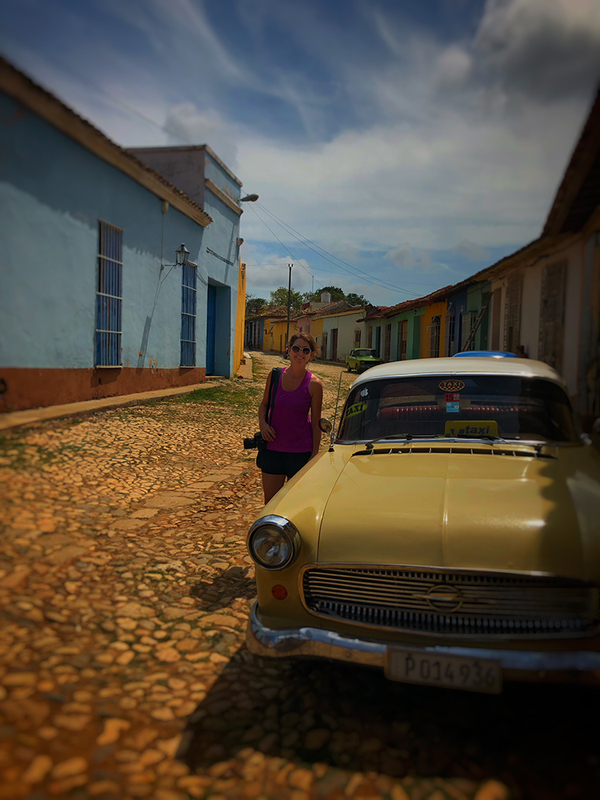 One hour south of Cienfuegos is Trinidad – one of my favorites for sure. Beautiful Colonial architecture, several great hotels. The architecture of this town was just as stunning as Havana. Every street was cobblestone, ever door was a bright color and there were several great hotels. Again, another Unesco World Heritage site! If you have walking issues, it might be tough – streets are old and cobblestones are crazy, but walking slowly helps! This town has just as much Colonial history and Revolutionary history as Havana. Bike tours are available to explore the town or get outside of town and check out the beaches. Beautiful white sand and Caribbean water are nearby, but it’s not an easy bike ride back, as there is a slight incline – Trinidad is build a little higher than the surrounding area. Sugar plantations had a huge impact on the area, both economically and culturally. A visit to learn about the injustices of slavery is well worth the visit, as well. No trip to the Caribbean is complete without learning about sugar! Trinidad is surrounded by the Escambray mountains. A jeep tour up the mountains to see scenery and a swim in a waterfall is well worth the trip! 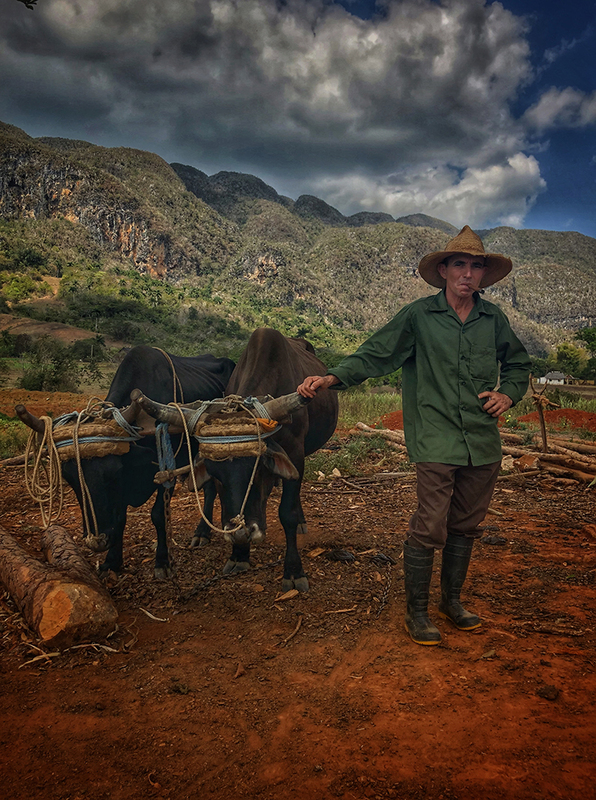 Many people have no idea that Cuba has so many mountainous areas. This is another city that is great to take a walk in with no destination in mind. We meandered around for several hours, checking out stalls with local wares, stopping for a drink and having lunch at a rooftop restaurant with amazing views – Vista Gourmet. Great mojitos and a ton of food for the price. This restaurant is fantastic. Whoever says Cuban food is bad is definitely going to the wrong places. I loved the ambiance of this place. A traditional Colonial style house turned restaurant, the food is a mix of Cuban and European. And the bathroom is not to be missed! 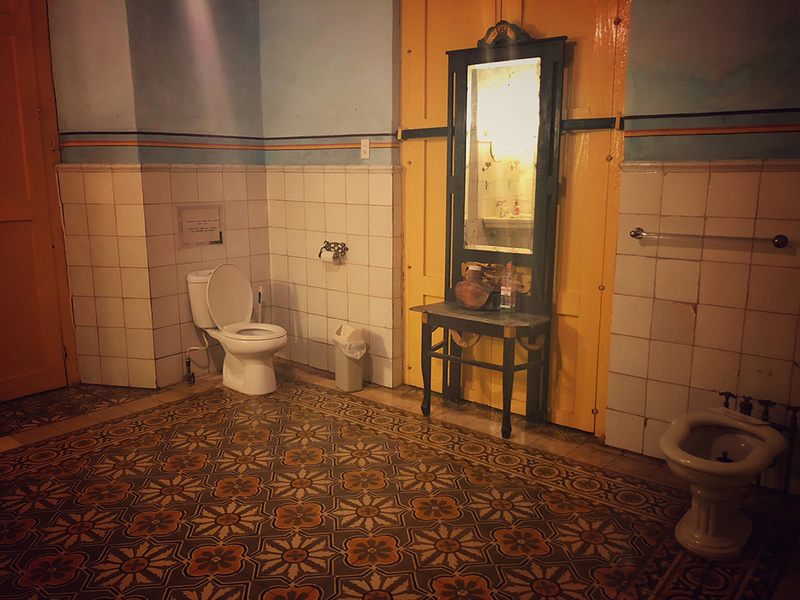 (sounds weird I know, but trust me….visit the bathroom). Without a doubt, Cuba was an amazingly rich country to visit. Everything from food to art to music to architecture. It’s worth noting, also, that the people are warm and friendly and have no problem chatting about how the government works, and whether they are happy with it, or don’t like it at all. They’re amazingly open people and love to chat with Americans about our country and our relationship with their country. I absolutely loved every minute of my trip there. The kids weren’t able to come on this particular trip, but I saw tons of families with children and we definitely plan on bringing them in the future. I’ll be writing several other posts on Cuba. 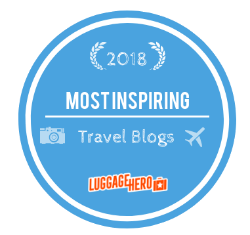 Particularly, restaurants and tips for traveling there. 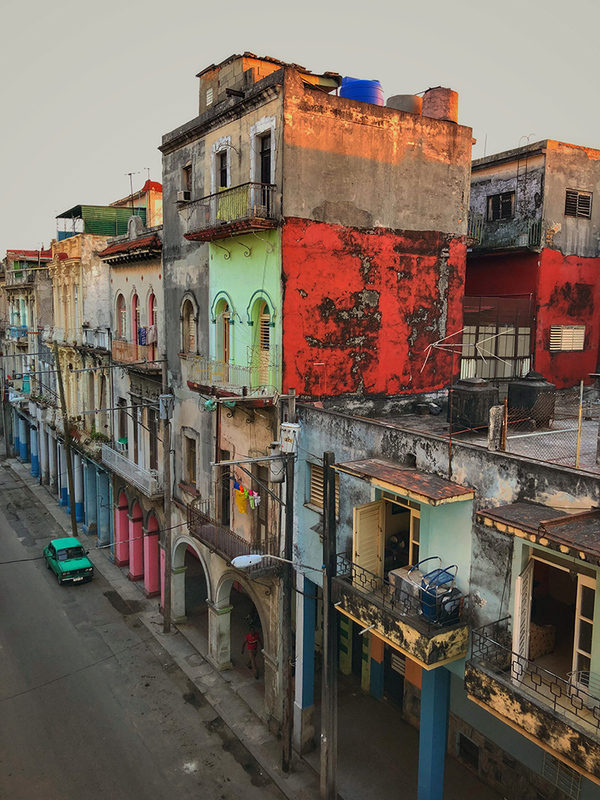 My friend over at To Someplace New also has some great ideas for Havana here. 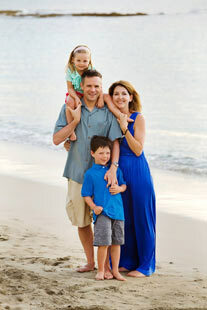 For a great packing list on what to bring to the island, see here. And for more fantastic ideas on where to go and what to do, hit up here. If you’re thinking of a trip to Cuba, I can take care of all the details. Contact me at mdownham@departurelounge.com.